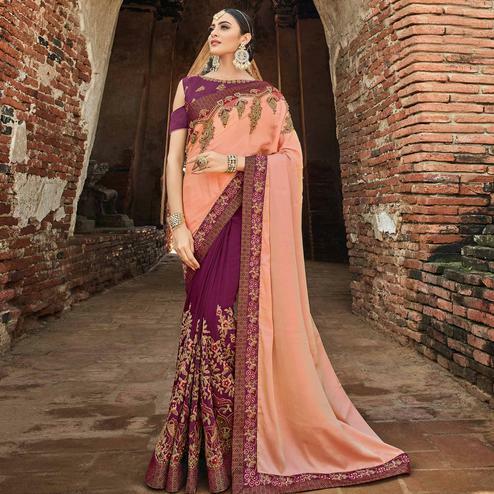 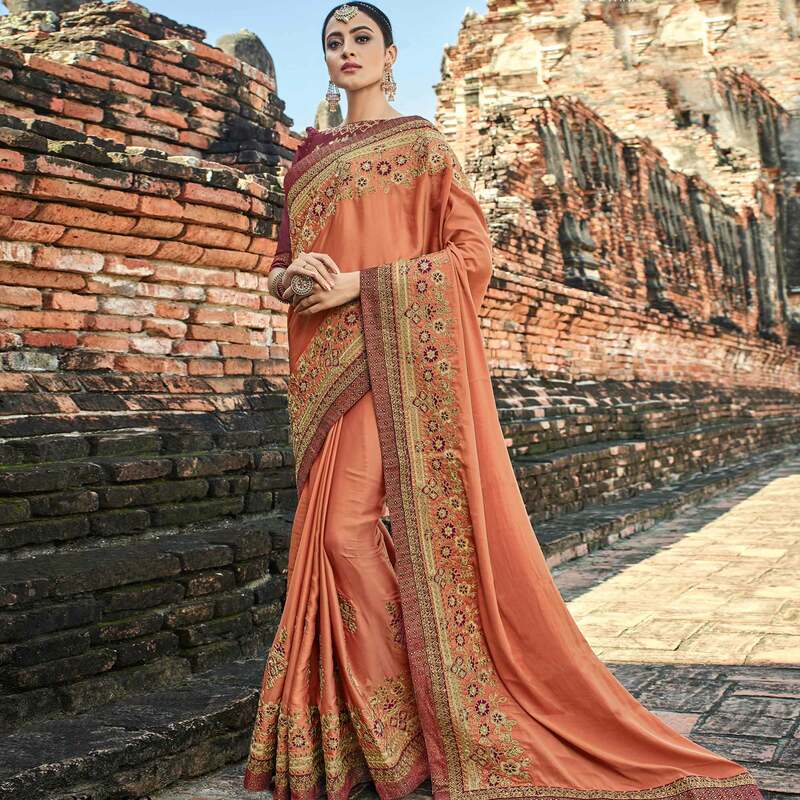 Look beautiful in this black - peach color half and half style saree which has been designed using chiffon and viscose fabric and highlighted with floral motifs multicolored embroidery at skirt and beautiful contrast color lace at boder. 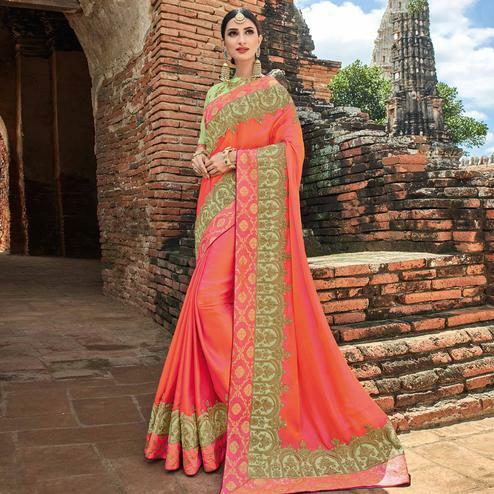 Saree paired matching color fancy fabric blouse piece. 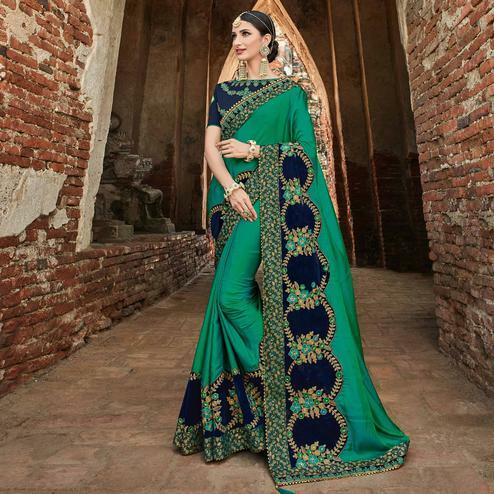 Women can wear this saree for family functions kitty parties and occasions.